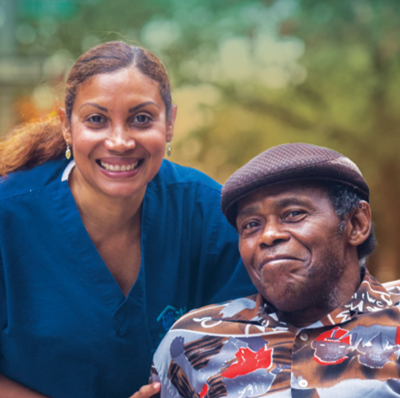 Established in 2017, New York City’s Division of Paid Care provides outreach and support to direct care workers throughout the city, conducts research on the industry, and works with a range of stakeholders invested in strengthening the city’s direct care and child care workforce. The Division of Paid Care is housed within New York City’s Office of Labor Standards. In 2015, PHI released a New York-focused report on the implementation of the new U.S. Department of Labor rule regarding wage and overtime protections for home care workers. The report recommended that the state create an ombudsman position charged with overseeing and supporting the state’s direct care workforce. In 2016, as this idea gained traction among city officials who were interested in creating a comparable city-level role, PHI released a second policy report and testified to the New York City Council on the potential benefits of an ombudsman. In August 2016, New York City Mayor Bill de Blasio signed into law a bill that established the Division of Paid Care. Today, PHI works closely with the division to inform its role in New York City.